At the world’s largest science conference, scientists and ethicists presented the case for recognizing dolphins and whales as non-human persons. The annual AAAS Conference (American Association for the Advancement of Science) draws scientists from around the world for presentations on everything from nuclear physics to medicine to climate change. One of the big draws at this year’s gathering in Vancouver was a panel discussion on the intelligence and self awareness of dolphins and whales (known together as cetaceans), and the ethical and legal implications of the latest science on these animals. The growing understanding we have of cetaceans led to the drawing up of a Declaration of Rights for Cetaceans last year in Helsinki. Dr. Lori Marino, of Emory University in Atlanta, who is also Science Advisor to Zoe, explained that this declaration was prompted, in part, by everything we’ve been learning in recent years about the dolphin brain. 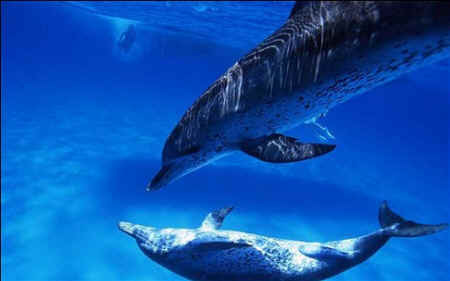 Dr. Thomas White, an ethics expert at Loyola Marymount University in California, followed up with the rationale for the recently drafted Declaration of Rights for Cetaceans. 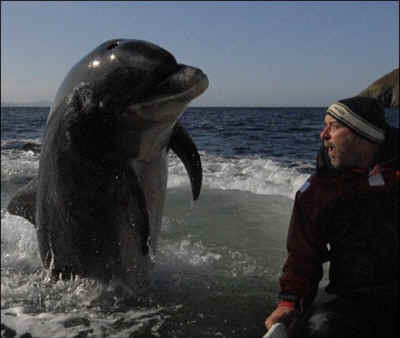 Fungi, a bottlenose dolphin who likes to visit with humans off the coast of Ireland, is an example of how we can learn from cetaceans in the wild, rather than in captivity. It also gives them an opportunity to learn from us and pass that knowledge on to their own kind, which is, by definition, not possible in captivity. Dr. White said that recognizing the status of cetaceans in law is important because it would make commercial whaling and imprecise fishing methods, which kill hundreds of thousands of dolphins and whales each year, morally abhorrent. A member of a group of orcas, or killer whales, in Patagonia had a damaged jaw and could not eat properly. The elderly whale was fed and kept alive by her companions. At the Institute for Marine Mammal Studies in Mississippi, a number of captive dolphins were rewarded with fish in return for tidying up their tank. One of them, Kelly, ripped up a large paper bag, hid away the pieces, and presented them one at a time to get multiple rewards. She also taught the tactic to her calf, who passed it on to other youngsters in the pod. In Iceland, killer whales and fishermen are known to work together. The whales show the fishermen where to lay their nets, and in return they get to feed on part of the catch. Then they lead the fleet to the next fishing ground. Dr. Marino noted that while much of what we know about the intelligence of dolphins has been gathered from dolphins in captivity, this is no longer the case. “In the last 10 years, we’ve learned almost nothing of any value from dolphins in captivity,” she said. The Declaration of Cetacean Rights was drawn up last year at a meeting in Helsinki, sponsored by the Whale and Dolphin Conservation Society (WDCS). Chris Butler-Stroud of the WDCS spoke about how the Declaration will help to shape international policy over the coming years.